The Golf Mentor is the fun way to learn golf quickly. 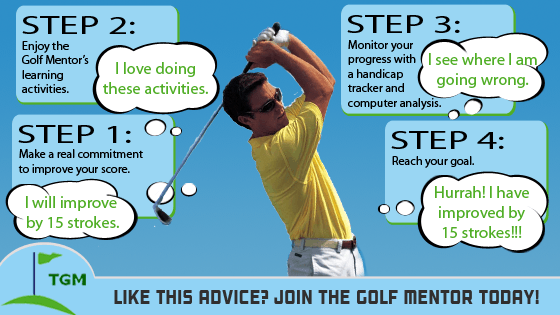 Much more than a set of videos, the Golf Mentor breaks up improving at golf into a series of small, easy-to-approach activities and provides the tools you need to guide and monitor your progress. The Golf Mentor comes with a online golf handicap. At present, there is a free 10 day trial, no credit card needed. You can learn more quickly with less effort. You can set goals, so ensuring your learning will be guided by a clear aim. You can have a online handicap that goes up to 99 over par, so it is useful even if you are a beginner.